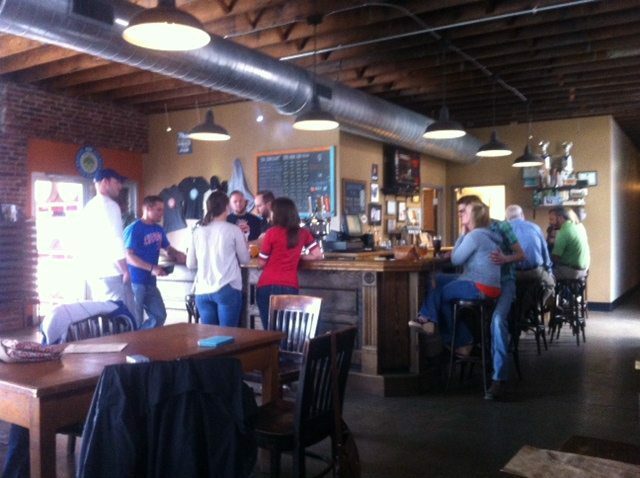 Urban Chestnut Brewing Company recently opened St Louis restaurants largest beer factory (based on square footage) among the area’s Craft brewers and brewpubs at 4465 Manchester Avenue, St Louis, MO. With the “Beer Divergency” Philosophy Brew-master, Florian Kuplent has definitely made his mark. All of Urban Chestnut beers have a very distinct taste and purpose. While I am not much of a beer connoisseur, I can honestly tell you I truly enjoyed several of the samples that I tried. From the Winged Nut (not sure where that name came from) to the STLIPA. The German like atmosphere is welcoming and the food, while limited, is great. Each one complimented the other. Whether you are a beer connoisseur or not you will definitely appreciate either location. The relaxed fun environment with great craft beer choices and excellent food at these St Louis restaurants and brewpubs. Facebook gives Urban Chestnut Brewing Co. a 4.6 Star, Google gives it a 4.8 Star, urbanspoon gives it 93%, foursquare gives it a 9.2 out of 10 and tripadvisor gives it a 4 Star and ranks the restaurant #383 out of 2507. The positive ratings just go on and on and on. They are doing something right based on these high reviews ranking them among the top of St Louis restaurants and brewpubs. We recommend Urban Chestnut Brewing Company. We recommend that you visit these St Louis restaurants and brewpubs at either location for a rewarding dining and beer drinking experience. This company is going nowhere but up. On May 12, 2014, we re-published our Beer Brewery Guide – St. Louis, MO. We will visit and write a review on each brewery. After we have reviews on each brewery, we will announce “St. Louis Restaurant Review’s Best St. Louis Craft Brewery Award for 2014.” We will issue a National Press Release to announce the winner and re-publish the article for the following 12-months while updating the information prior to each re-publishing. We stand behind our previous recommendation of this brewery and give it a 4.5 Star rating. We originally recommended this establishment June of 2014 & revised it May 5, 2015. Since then they have announced expansion plans for Chicago and Germany.